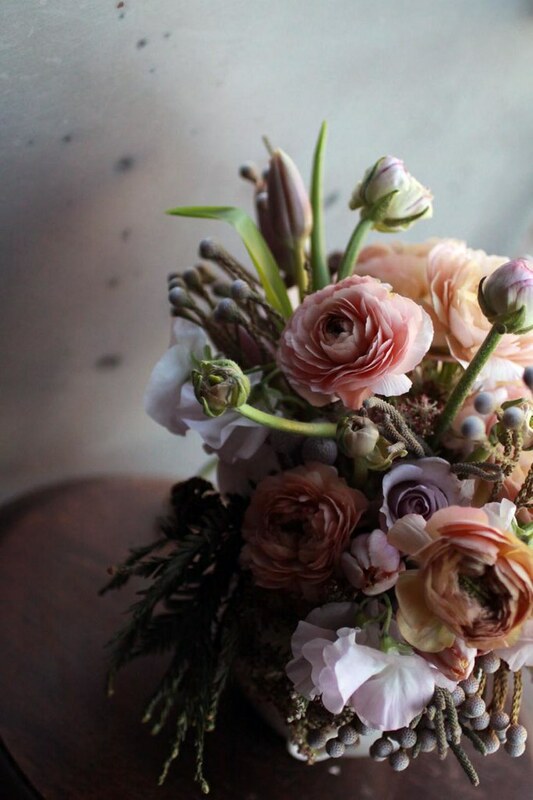 Above: Some dramatic ranunculus starting to arrive this now that we're getting on into winter. 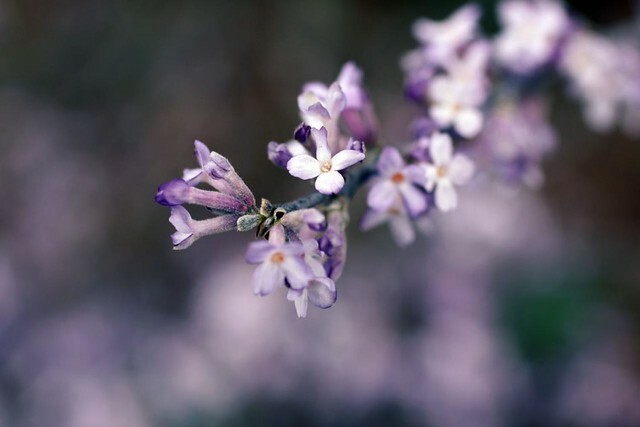 Below: From last spring at the garden, a piece of Syringa Patula, a manchurian variety of lilac called "Ms. Kim." past and present. this branch will likely bloom again this year and i will try to find it. If I were in Cali, I'd be back for round two, or three, of flower school. Of course, the day y'all want to mosey over to Austin, TX I'll be all over it! Happy New year! I missed reading your blog while I was on vacation. Thanks for starting my day with these beautiful images. oh ranunculus, little frogs of spring. so beautiful. Ms kim is quite lovely! happy new year! The ranuncs are gorgeous as usual, but SWEET PEAS!!! !